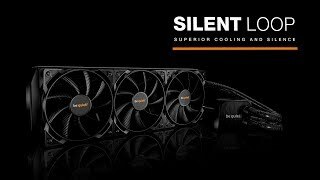 SILENT LOOP 240mm silent premium Water coolers from be quiet! Silent Loop 240mm brings the famous be quiet! whisper-silent technology to the world of all-in-one water cooling.